Sylvester Love's time at the University of Southern Mississippi went by fast, or maybe it was just Love who went by fast. Love stole 75 bases for the Golden Eagles over his 1986 to 1988 collegiate career, still good in 2015 for second all-time at the school. Love also hit 10 triples over that time, still tied for fifth place, according to the school's 2015 media guide. Love ended up running all the way from Hattiesburg to the pros. His pro career lasted three seasons. He never made AA. Love's career began in 1988, taken by the Brewers in the 15th round of the draft. The Giants took him in the seventh round the year before, but he didn't sign. Love played his first year with the Brewers in the rookie Arizona League. He hit .323 over 57 games. He also stole 32 bases and knocked in 30 runs. Love returned to the Arizona League for 1989. 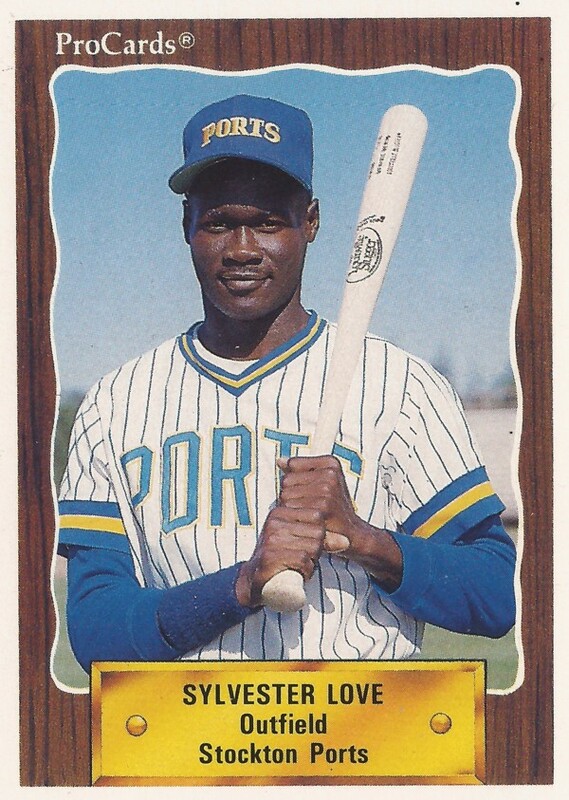 He also got time at single-A Beloit. Overall, he played in just 30 games. He hit .308 and stole 14 bases. Love's final season came in 1990 at single-A Stockton. He got into 46 games, but hit .183, marking the end of his career.